Water is a Multi-dimensional elemental substance that is Liquid Light in the Higher Dimensions. As we enter into the New Earth Consciousness we need to come to know Water as Liquid Light and to understand and respect its purpose in our lives on Planet Earth. Water is a Pure and Beautiful Being and its Song is the Beauty and Clarity of All Life. Many of the ancients and the indigenous peoples understood that water was part of the primal creation. Before there was life as we know it, there were the primal elements, of which Fire and Water were the two major cosmic elements. In the ancient Egyptian narratives, Fire was feminine as was represented by the leonine being called Tefnut. Water was masculine and was represented by the being known as Shu. In its fluid or cosmic form, water was experienced as water vapor, and so Shu was an airy and fluid water being. In their original cosmic forms, these two elemental beings combined to birth all other forms of life in the Cosmos. In their Galactic Form, Nut was the Galactic “river” of stars and the Great Mother, and Geb was the Great Father who was also Earth and Matter. On the different dimensional levels, Water was both masculine and feminine as a key element in the Sacred Chain of Life. The Ancients Egyptians, who received their teachings from the Leonine Masters of Sirius, thus respected the Flow of Water both in its Cosmic aspect as the River of Stars in the Milky Way, and as the River of Water on the Earth that they called the River Nile. They understood that the Flow of the Water Element was the bringer of Life and Abundance to all life in the Galaxy. Without the flow of pure and clean water, there can be no abundance and no life. In its pure state as Liquid Diamond Light, water carries the original Light Codes for Abundance and Life. These original codes are constantly pouring down onto the Earth through the Solar and Galactic Star Gates, as are the newer Light Codes with updated cosmic information and codes. But when they reach our Planet, they are “diluted” and blocked by the very low frequency of most of the water on the Planet. The indigenous peoples of our Planet understand the Sacred Nature of Water, and their traditions include ceremonies and prayers to honor water and to ensure that it is kept pure and clean so that it might continue to be a chalice for the Divine Liquid Light Water Codes. In this way, they help to ensure clarity of life and purpose and the ongoing connection with the River of Life and Abundance that flows “from the Throne of God” as it is described in Christian Sacred Text. Water and the 21st Century….. In our time, we have lost the Sacred Connection with Water and we have lost our ability to live in Clarity, Flow and Abundance. Water sources on our Planet have become polluted and toxic. Climate change has created arid areas where there is no longer enough water or rainfall to sustain life. Water has become nothing more than a “resource” to be controlled and used in human activity without any concern for the deeper and more sacred nature of the substance. Rather than honoring water as a Source of Life, water has become the toxic and polluted receptacle of the toxic and shadow side of our civilization and culture. Where once there were clear streams and rivers, there are now only polluted and toxic water ways. This pollution of the “Body” of the Earth and its “Bloodstream” means that the much of the Earth itself is unhealthy and out of balance, and that we as her children are in danger of becoming the same. On the emotional and mental levels, we no longer see our relationship with our Soul and the Earth through the Liquid Light Mirror of Clarity and Love, but through a dark and sludgy mirror that shows us the toxicity and pollution of our water sources on Earth. Or the arid drying up of those sources altogether. And so, we are in danger of believeing that this toxic reflection is who we are. It is little wonder that much of the Earth in the 21st century is in a state of lack and loss and anger, as the flow of abundance seems to be receding and not becoming stronger. But no….this is not who we are and we can work with the powerful Cosmic Intelligence in Water to heal the waters and restore the Clarity and Power of our Waters by realigning with the original Light Codes for Liquid Diamond Light and allowing the flow of Diamond Clarity in our work and our relationship with water. At this time in our Transformation process, we are the Light Warriors and Light Workers who have come to be the way showers in the Transformation of the Earth from a third-dimensional world to a multi-dimensional planet with access to Higher Consciousness and the ability to manifest and create from Sacred Inner Space. Now we are called to be Water Warriors and Water Shamans, and to use our power as Masters of Light and Energy to work with returning Clarity and Purity the to Water Sources on our Beloved and multi-dimensional Earth. There are many ways of doing this. Firstly and most importantly we can work with ourselves to cleanse and clarify and bring purity to our own inner water sources. This will involve clearing out emotional and mental pollutants that prevent us from seeing our own clarity and beauty as Souls in Human Form. When we are seeing ourselves through the glass darkly, we only see the toxic and polluted, but when we see ourselves in clarity we see our beauty and perfection. And then we can work to bring in more clarity, more transparency and more flow through beauty and harmony in our daily lives. We can become Water Shamans and practice a daily blessing of the waters of the Earth so that this clarity and purity may spread out to all the waters of the planet. We can also work in our daily lives to minimize our contribution to the pollution of the waters and to honor the Sacred life of water at all times. Every time we use water in our daily lives we should connect with it and honor it with gratitude and blessings. It is the Water of Life. If we wish to become Water Shamans and Water Warriors we can step out and defend the Waters of the Earth whenever we see disrespect and pollution of sacred water sources. We can do Water Ceremonies, on our own, and with groups, to cleanse and clarify and to return the water to purity and allow for the flow of the Liquid Light of Abundance to our beautiful multi-dimensional Earth once again. For this Ceremony you will need a small glass bowl filled with pure spring water if possible. Tap water is not that good as it is already filled with chemicals. You can place flowers or petals in your bowl for the Ceremony. It is also good to have a candle to represent Fire and Light, and sage or an incense stick to cleanse the air and the area of the ceremony. Begin by lighting your candle and requesting that Spirit and the Beings of Light be with you. Light your Sage or Incense and request a deep cleansing of your personal space and the Earth Space. You can invoke the Violet Flame here if you wish. If you are familiar with Shamanic Practice you can open a Sacred Circle and call the Four Earth Elements. 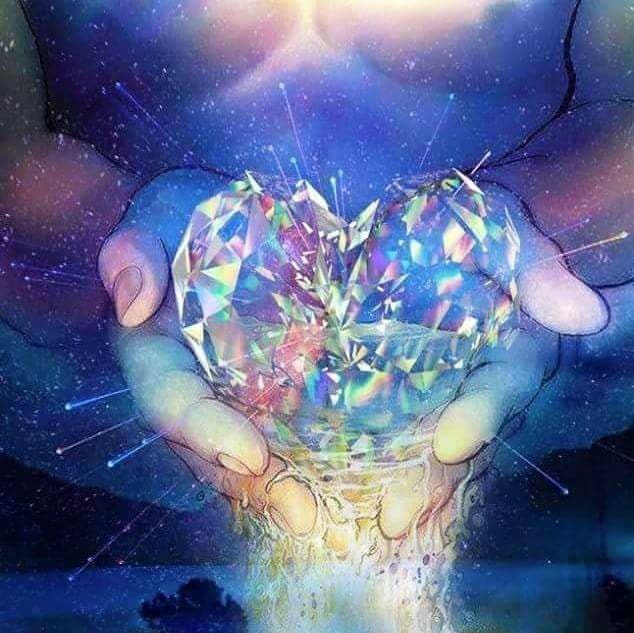 Center your consciousness in your Heart and connect with the Divine Spark of Diamond Light that is your Higher Consciosness. Allow yourself to feel Love and Gratitude on a deep level for all that is given to us on the Earth through Creation. Lift up your glass bowl of water and transmit these feelings of Love and Gratitude into the Water. You can keep doing this for about 10 minutes or longer. Visualize also the flow of Light Codes in the Liquid Light as Water descends from the Cosmic Heart and into the Earth Realsm. See the Earth’s Water Sources as Pure and Clear and receiving the Light Codes of Abundance and Life as they descend from Prime Creator through the Flow of Liquid Light/Water. And…see how the water of the Planet is transforned from dark and polluted to clear and sparkling as the Light Codes are absorbed and activated. Hold that vision for a few minutes. You can complete your ceremony now by expressing gratitude and love and closing. If you have opened a Sacred Circle you can close it. It is good to take the water that you used in your ceremony and gifting it to a river or stream near you where the intentions of love and gratitude encoded in the water by you will be transmitted through the water source. You can also gift the water to the Earth if you do not have a river close by. In this daily practice you will be raising your Personal Frequency and also that of the Waters of the Earth.